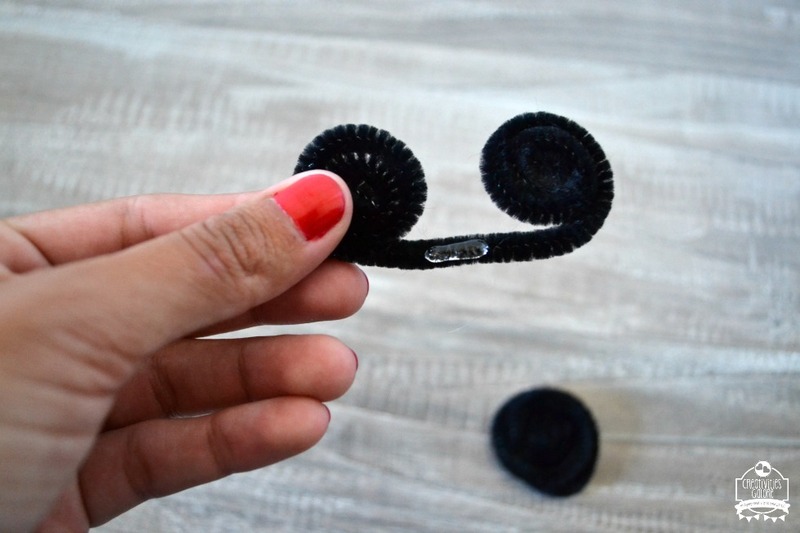 The first thing you will need to do is take one pipe cleaner and begin rolling it up from one side. 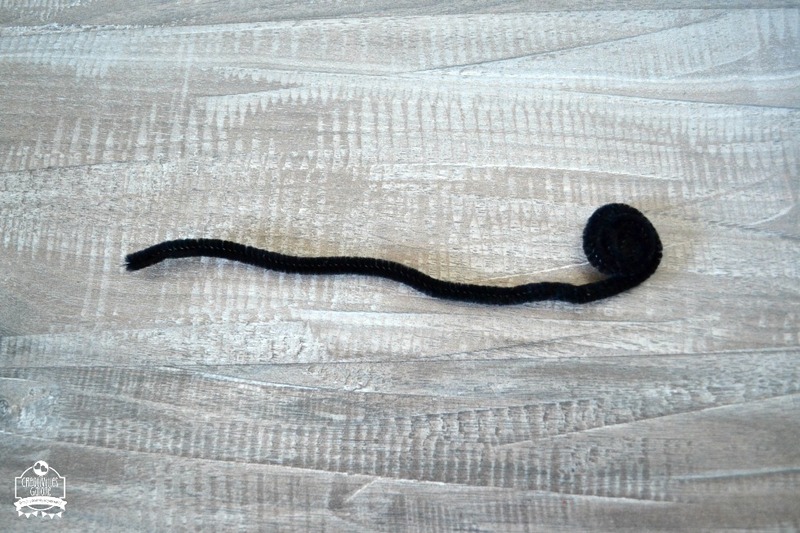 This is how it will look once you finish rolling it and it will be the head part. 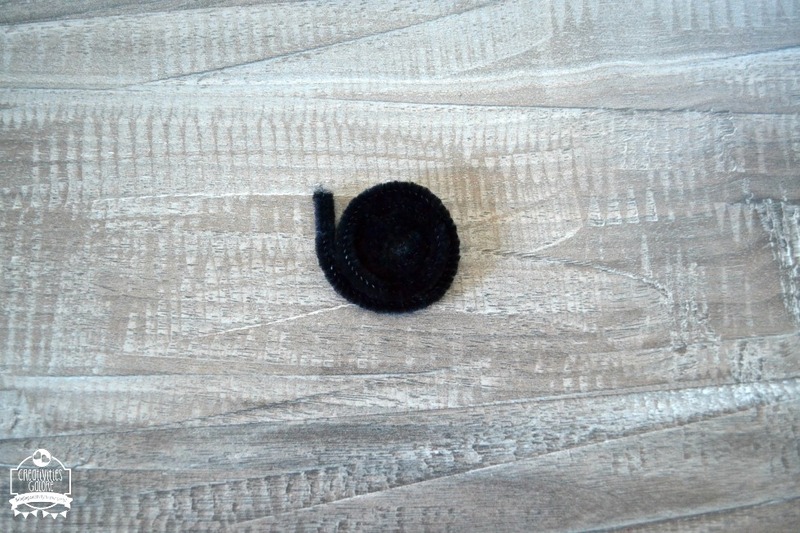 Then I hot glued that little piece sticking up to the back of the rolled up pipe cleaner. 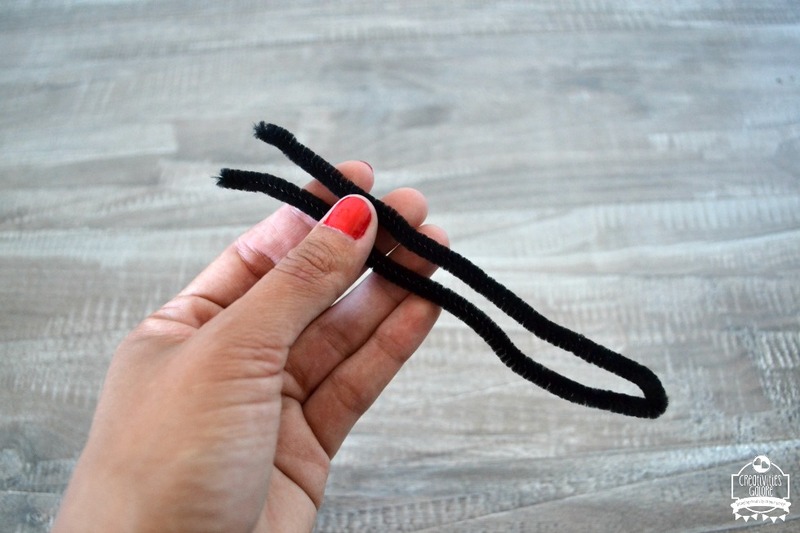 Next take the second pipe cleaner and fold it in half. After that open it up and roll in BOTH ends towards the middle but leave a little gap like shown below. Next add a little bit of hot glue and place the head portion to the ears. 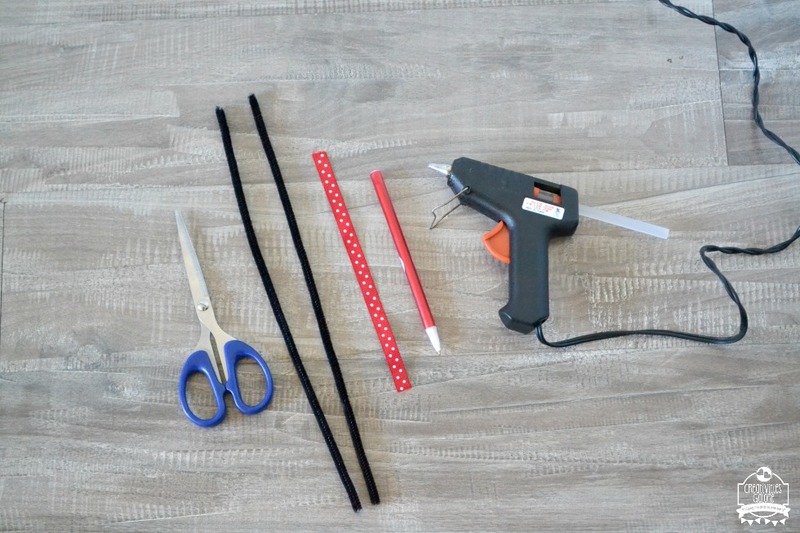 Now you will make your ribbon into a small bow that will fit the pipe cleaner Minnie head. Once you have the ribbon made into the bow just glue it onto the top center. 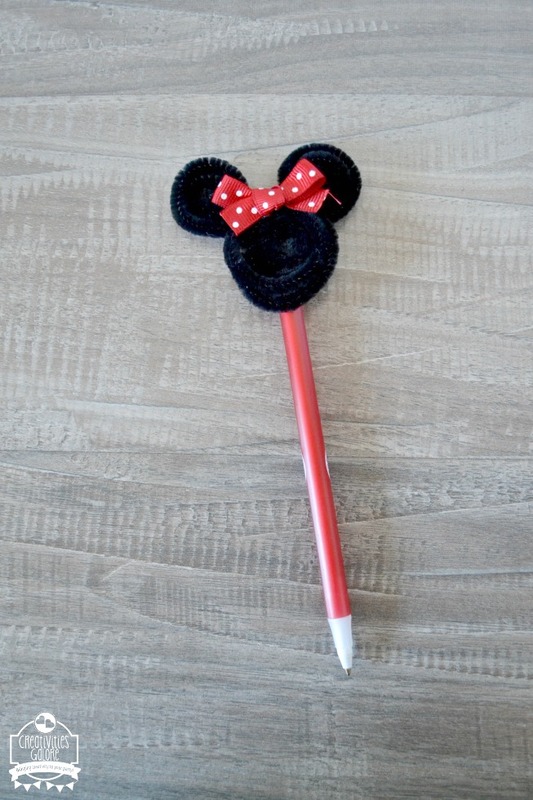 Your Minnie Mouse pen topper is complete and now you just have to glue it onto your pen. 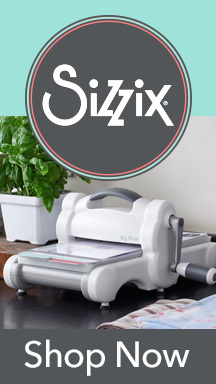 It will now be ready for you to get those character autographs the next time you go to one of the Disney parks. 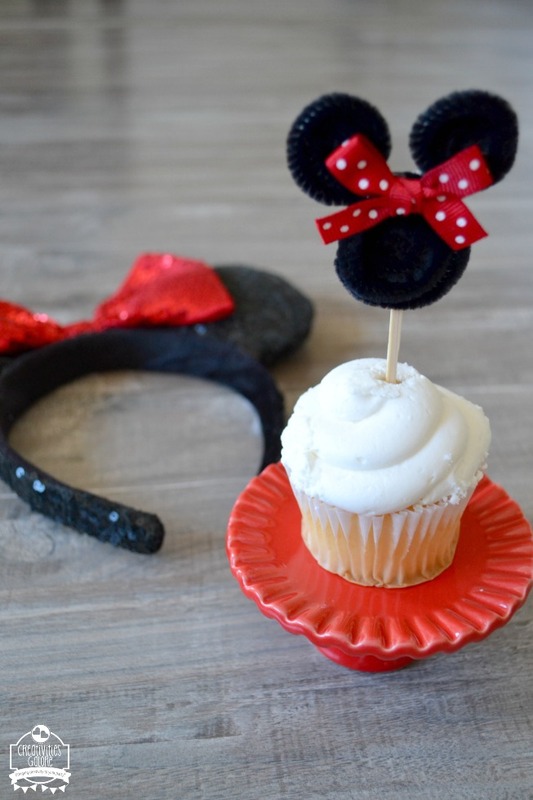 If you are throwing a Minnie Mouse party this DIY Minnie Mouse topper can also be used as a cupcake topper like shown below. How adorable does it look dressing up that plain cupcake! 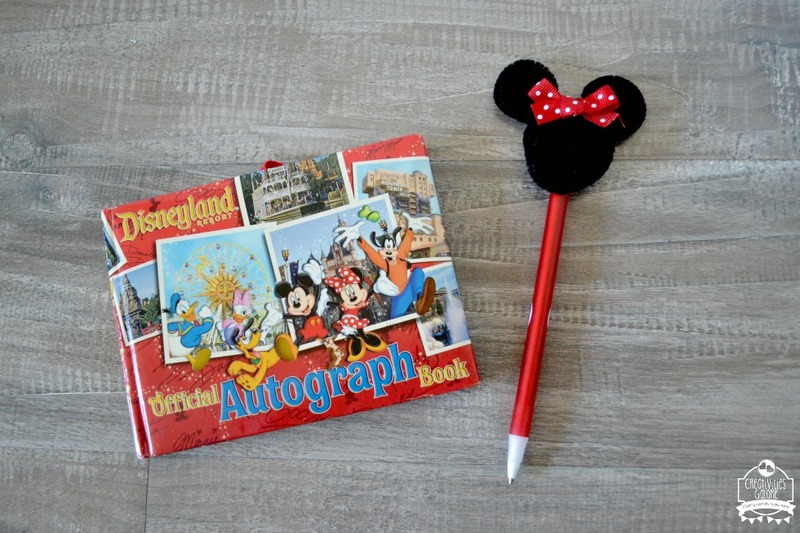 Are you a huge Disney fan like myself, who is your favorite character? I have way too many to narrow it down lol. I hope you enjoy this new series and I look forward to sharing more Disney fun with you. 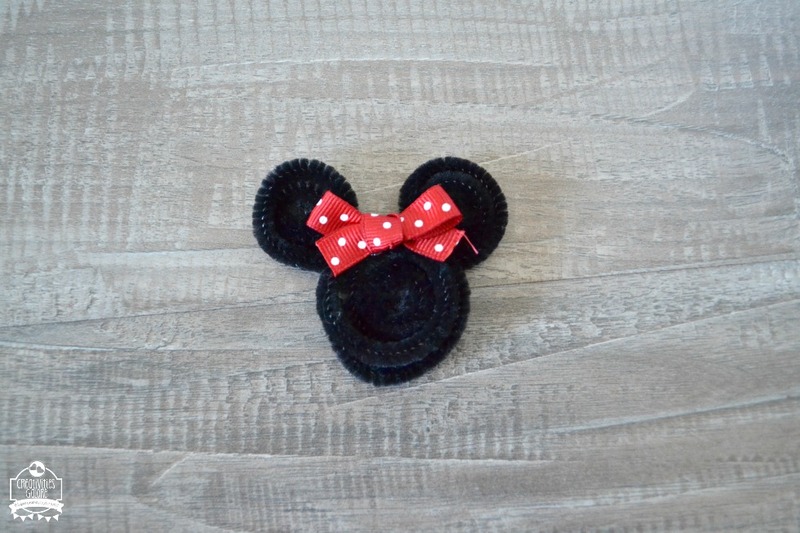 Also, here is a quick video I did while I was creating this DIY Minnie Mouse topper. If you aren’t subscribed to my YouTube channel head over there after watching this video and subscribe. You don’t want to miss out on any future fun videos. 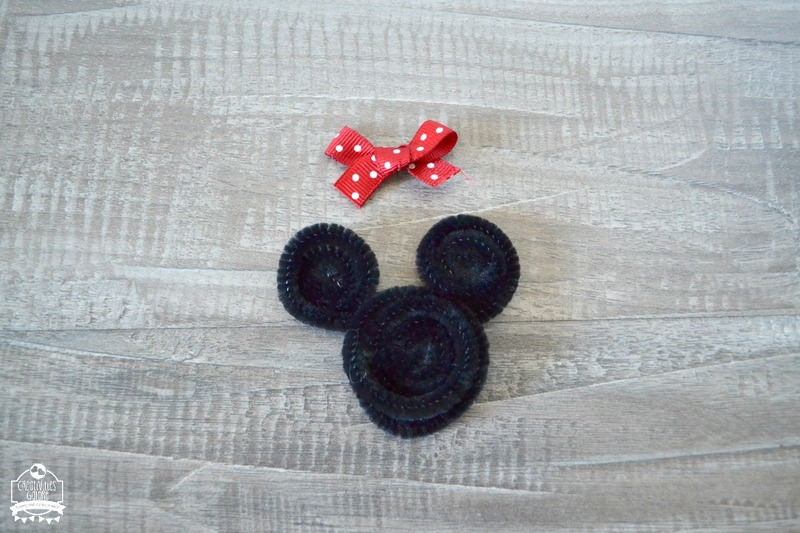 In Disney, DIY. Bookmark the permalink. This is the cutest idea! The pen is seriously adorable! Thank you Laura!!! I love how it turned out, it’s perfect for those Disney trips.